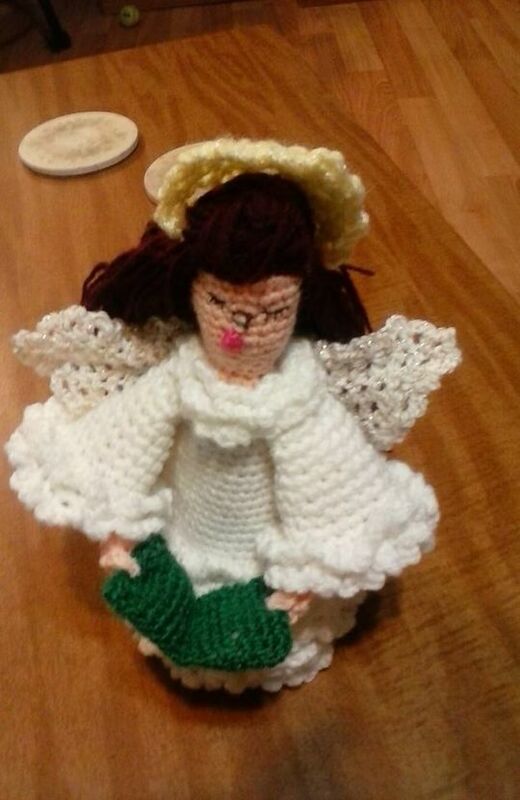 Made this tabletop angel for a friend of mine that is in a nursing home. It is something she can put in her room on her bedside table and enjoy all year. She loved it.